Review: "Mower: Mower" - Sea of Tranquility - The Web Destination for Progressive Music! 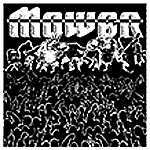 A moving little batch of tunes from San Diego's Mower, a quartet very much in tune with the sounds of today, whether those of the angry metallic kind ("You're Out Get Out") stuff that might get labeled punk (moments of "Shut Up And Skate," "Wrestle With The Pig") and a dash or two of humor ("Champion Intro," "Snitch" and "Champion Outro"). And the bulk of it sounds great. Really great. Like contemporary music that you can actually listen to. While it remains to be seen whether Mower has a strong, instantly identifiable sound inside, this is promising.